Morocco has found allies in its claim of sovereignty over Western Sahara in the corporate world. One of its more recent friends is Kerr-McGee. 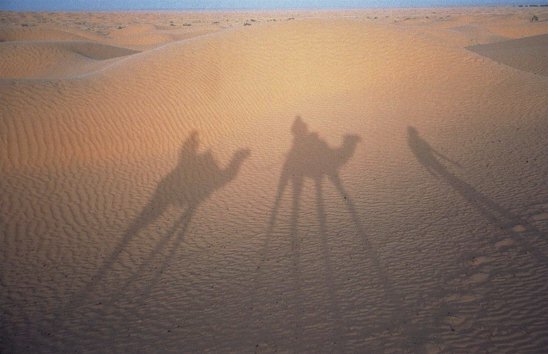 In 2001, the company signed a hydrocarbon “reconnaissance permit” with the Moroccan government to explore areas off the coast of the Western Sahara. Since inking the deal, Kerr-McGee has been assessing the results of a “large 2D seismic grid” of the region and a 2004 “drop core survey.” Kerr-McGee has renewed its contract several times, with the current agreement set to expire this October. “We preferred that occupation,” Salim says, pointing to the Spanish news channel on his television, “to this one,” he says gesturing toward Moroccan settlers walking past his West Saharan shop window. Western Sahara is a disputed territory sandwiched between Mauritania and Morocco, on the north African coast of the Atlantic ocean. The current struggle for control began in 1975 when Spain ended its colonial occupation and rule of Western Sahara and hastily handed over administration of its former colony to Morocco. Refugees fleeing the homes in Western Sahara, joined the nascent independence movement named Polisario, and declared the region a sovereign republic, setting off a guerrilla war. Today, if the Oklahoma City-based Kerr-McGee Corporation gets its way and begins extracting oil and gas in contested Western Sahara, another volatile element will be added to the region’s long-standing dispute. On the dusty streets of the sleepy Western Saharan capital, Al-’Ayun, where I met Salim, and around the world, Morocco finds little open support for its continued occupation. Not one country or international organization recognizes Moroccan sovereignty over the Western Sahara. The United Nations defines the largely uninhabited Colorado-sized area as Africa’s last remaining colony. But Morocco has found allies in its claim of sovereignty over Western Sahara in the corporate world. One of its more recent friends is Kerr-McGee. 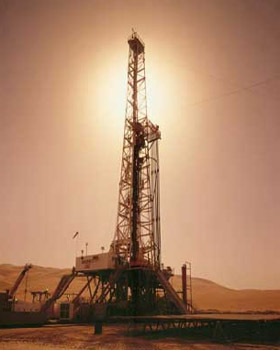 In 2001, the company signed a hydrocarbon “reconnaissance permit” with the Moroccan government to explore areas off the coast of the Western Sahara. Since inking the deal, Kerr-McGee has been assessing the results of a “large 2D seismic grid” of the region and a 2004 “drop core survey.” Kerr-McGee has renewed its contract several times, with the current agreement set to expire this October. A Fortune 500 company founded in 1929, with more than $5 billion in revenue in 2004 and over $14 billion in global assets, Kerr-McGee “is one of the largest U.S.-based independent oil and natural gas exploration and production companies, with proved reserves of more than 1.2 billion barrels of oil,” according to its website. The area of Kerr-McGee’s interest, the Boujdour Block, is a 27 million acre expanse claimed by Western Sahara. The Block stretches from the Sahara’s cliff-lined shores to depths of more than 10,000 feet in the Atlantic Ocean. Are there significant quantities of oil and gas off the shore of the Western Sahara? No one knows for sure. In neighboring Mauritania, Woodside Petroleum, Australia’s second-biggest oil and gas company is expected to start pumping in 2006. The Chinese government is also heavily involved in offshore Mauritanian petroleum prospects. From the middle of the Sahara to all along the coast, West Africa is fast becoming an importance source of oil and gas for the United States. But in Western Sahara, with uncertainty about ownership adding to the risk, oil companies are reluctant to commit resources. French oil “supermajor” Total, which also contracted with the Moroccan government in 2001 to explore off the Saharan shores, withdrew in 2004 for “business” reasons. The Norwegian geological survey firm TGS-Nopec has also abandoned its interests in the area. 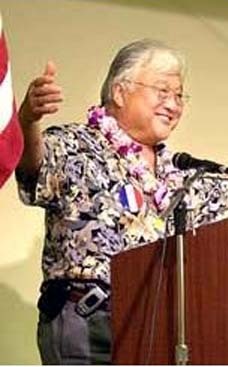 Contracted to carry out the research for Total and Kerr-McGee, and with 85 percent of its survey completed, TGS bowed to intense grassroots pressure in 2003. 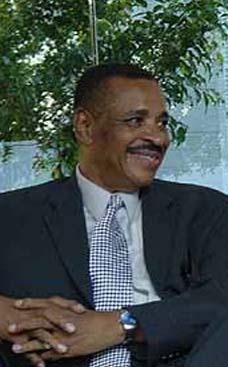 After dozens of shareholders divested, TGS issued a public statement announcing that it “has decided not to undertake any new projects in Western Sahara without a change in political developments.” The subsequent withdrawal of two minor companies for similar reasons left Kerr-McGee as the only foreign company working with Moroccan oil interests in the area. For now, Kerr-McGee is holding firm and keeping quiet about its Saharan prospects. ”[U]ntil we have completed the analysis and evaluation we cannot speculate on future activities,” external communications specialist John Christiansen told Corpwatch. Kerr-McGee’s stockholders may also be less than fully informed about the risks of investing in a contested territory. In its 2004 report and a letter to shareholders, Morocco-but not Western Sahara—appears under a map titled “Targeting World Class Prospects.” And although the words “Western Sahara” appeared in Kerr-McGee’s 2003 report, the reference was omitted in the 2004 version. Western Sahara is far more visible at the United Nations where its fate is under the management of the Security Council. That body is torn between Morocco’s close relations with several permanent members, especially France and the United States, and the Western Saharans’ right of self-determination under customary international law. With the discovery of significant hydrocarbon deposits in the Western Sahara, the power equation has grown more complex. The potential wealth provides the Moroccan government with strong motivation to hold onto the contested territory and to shun the peace process. Kerr-McGee contends that its interests are not biasing the peace process. “Kerr-McGee, by its Reconnaissance Permit, has not prejudged or prejudiced such efforts, and we hope to make a contribution to the development of this area and its people,” Christiansen told CorpWatch. Not only are there serious questions as to whether Kerr-McGee is helping Rabat (the Moroccan capital) strengthen its hold on the Western Sahara, and thereby undermining the peace process, but Morocco may not have a legal right to offer oil and gas exploration contracts in the contested territory. Given the Western Sahara’s international status as a colony (i.e., a Non-Self-Governing Territory), the United Nations called for an official legal opinion in 2001, shortly after Morocco offered the Western Saharan concessions to Kerr-McGee and Total. The following February, UN Under-Secretary General for Legal Affairs, Hans Corell, offered an opinion that gave ammunition to both sides. But Fadel, representing the government in exile, counters that by undermining the legitimacy of Morocco’s occupation, the opinion actually confirms the illegality of Kerr-McGee’s contracts. In its most simple form, the issue may boil down to the common sense proposition that only the side with legal sovereignty can legally grant exploration and extraction rights. 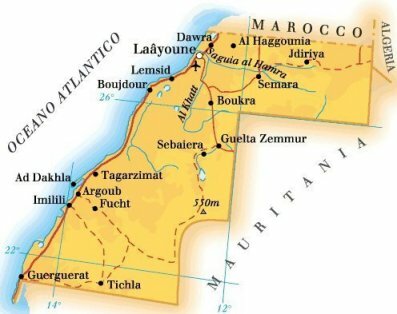 ”[A]s far as International Law is concerned,” Spanish foreign minister Miguel Ángel Moratinos recently told the Spanish parliament, “Spain remains the administering power [of the Western Sahara]” and its hand off to Morocco was never legal. Despite the Rabat’s intransigence and Kerr-McGee’s legal parsing, the exiled Saharan government has remained optimistic. It has even offered its own licenses to competing oil companies for the same areas off the Western Saharan coast, although these deals will only come to fruition if their nation achieves independence. Jacob Mundy served as a Peace Corps volunteer in Morocco (1999-2001) and is a member of Western Sahara Resource Watch. He is the coauthor of a forthcoming book on the conflict with Stephen Zunes.